Click the pic above for the UFO Facebook group! of the United Fanzine Organization. Click the images to visit the websites of each one! My Yahoo group devoted to MISS ANGIE! Here you will find several years' worth of my writings (going back to 1984!) as well as more recent postings (that can be found immediately below). You can use the box on the right to view different subjects that have their own pages on my site, as well as links to the webpages of my fellow members of the United Fanzine Organization (UFO). If you wish to contact me, simply email robimes@yahoo.com and I'll try to get back to you. Thanks, and enjoy the site! FANZINE FANTASY #1 Now available! : a 20-page B&W fanzine (except two of the pages are in color), 8.5" x 11" size, signed & numbered by editor/publisher (and small-press cartoonist) Martin Hirchak, for $6.00 postpaid. Send checks or money orders to him at P. O. Box 44678, Detroit, MI 48244. You can also pre-order #2 (which will be $7.50 postpaid), scheduled for release on Oct. 20, 2012. 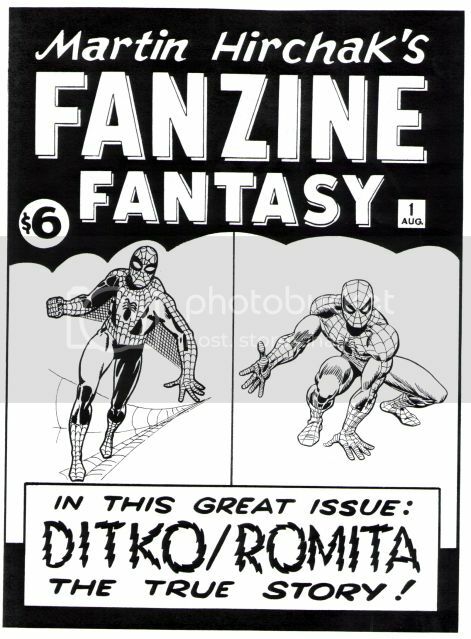 Issue #2 will have more on Ditko-Romita, while issue #3 will focus on Charlton Comics. Some of the illustrations in #1 have appeared in past issues of my fanzine Ditkomania, but some have not! If you want to email Martin, contact him at mhirchak@yahoo.com. 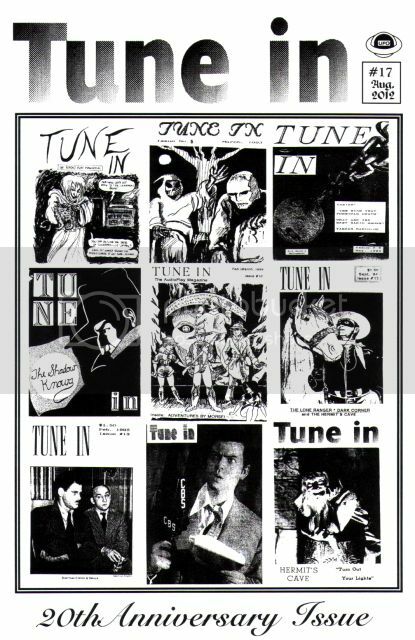 TUNE IN #17 In August 1992, I published the first issue of my fanzine devoted to the art of audio drama, TUNE IN. From 1992 to 1996, I published 16 issues. Now, to celebrate the zine's 20th anniversary, I have published the long-awaited 17th issue -- with plans to keep the zine going! 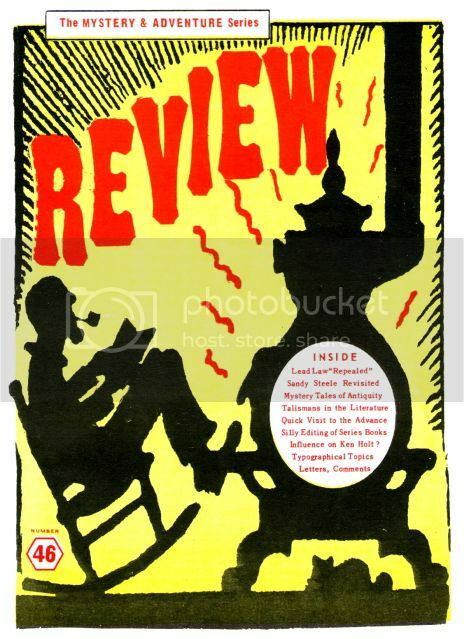 This issue contains two articles by the late Shawn Danowski (one about The Ghost Corps, the other about I Love a Mystery) and an article by me about the radio career of Orson Welles. You can read more about this issue by clicking here. DITKOMANIA #88 This is the cover of the new issue (#88) of Ditkomania, which was released on June 14, 2012. 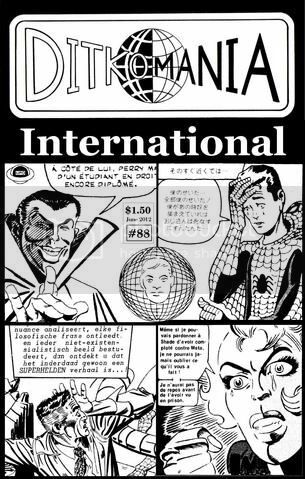 The issue is 32 B&W pages long (counting the covers) and includes an overview of Ditko's work as it has appeared outside North America, primarily in Europe. R. S. Crawford contributes an article titled "Ditko in the U.K." which discusses the Alan Class reprints of Ditko's comics. 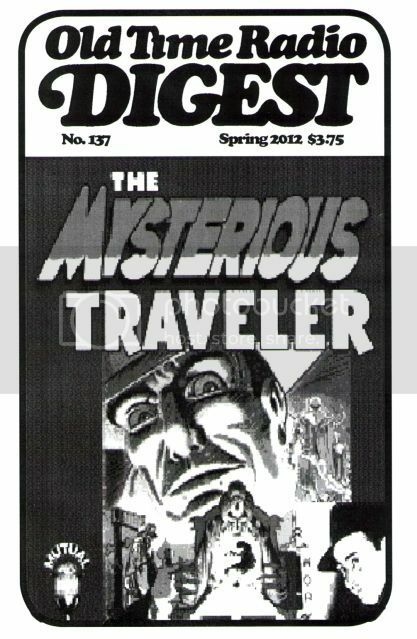 Also in this new issue is a review by John Linton about the newest volume (#3) in the Ditko Archives series, Mysterious Traveler. There's also an essay about Ditko by Jason Sacks, and the usual fun and informative letters page. Check out the Ditkomania Yahoo Group to obtain ordering info, etc. 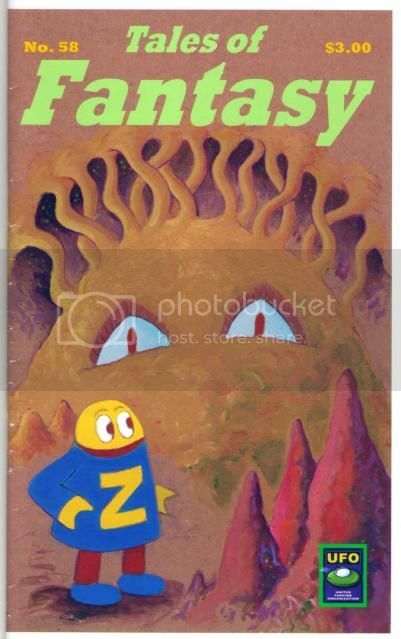 TALES OF FANTASY #58 The latest issue of the long-running series by Larry Johnson features the return of Zooy, this comic's signature character, in a brand new science fiction adventure titled "The Mighty Yammite!" Also in this issue is a "Dream Diary," a Space Cat page, and a lengthy letters column. This 40-page digest-size comic is available for $3.00 postpaid from Larry Johnson, 31 Greenbrook Rd., Hyde Park, MA 02136. You can email Larry at LewBrown75@yahoo.com. Also, check out Larry's website to learn more about his work. THE MYSTERY & ADVENTURE SERIES REVIEW #46 The new issue of this long-running zine has just been released, featuring the usual mix of articles about vintage juvenile series books (Troy Nesbit and Sandy Steele Adventures are discussed this issue, among others), old-time typography, and a lengthy (16 pages) letters column. This 48-page zine is available from Fred Woodworth, P. O. Box 3012, Tucson, AZ 85702. Payment may only be made with U.S. cash or stamps, of whatever amount you want to send (since the zine has no fixed price), but absolutely no checks or money orders of any kind. Once again, it should be noted (in case the question may arise here) that there is no "webpage" to look at concerning the zine. No computer is ever used in the production of the magazine whatsoever; Fred prints 'em on his own printing presses, and sets the type himself. In this issue's lettercol, Fred refers to himself "as the only human being remaining in the United States of America, over age 18 months, who has never 'logged on' to the internet nor turned whatever ignition key is required in order to start a 'search engine.'" So, if you want to read info copied from websites, then M&ASR is not for you. If you want to read articles by someone who has spent a lifetime reading these vintage books, however, then check it out. THE OLD TIME RADIO DIGEST #137 Got the Spring 2012 issue of this long-running OTR fanzine in the mail the other day, from editor Bob Burchett. I was glad to see the zine is still being published. I had ordered a copy a couple times back in the early 1990s when I was publishing my own OTR fanzine, Tune In. The zine is $3.75 postpaid from Old Time Radio Digest, 10280 Gunpowder Road, Florence, KY 41042. (A four-issue subscription is $15.00.) Much of this issue consists of reprinted articles from 1940s issues of a radio magazine of the time called Tune In (not to be confused with my OTR fanzine of the same name). There's also an article about the Mysterious Traveler radio show, from the Digital Deli website. This website, "funnyfarm fancies," including all original content created by Rob Imes is Copyright � 1984-2012 by Rob Imes.